NOTE: This is not a human base mesh modeling course. I generate my character mesh in FUSE CC and focus mainly on the warrior's armor and gear modeling. 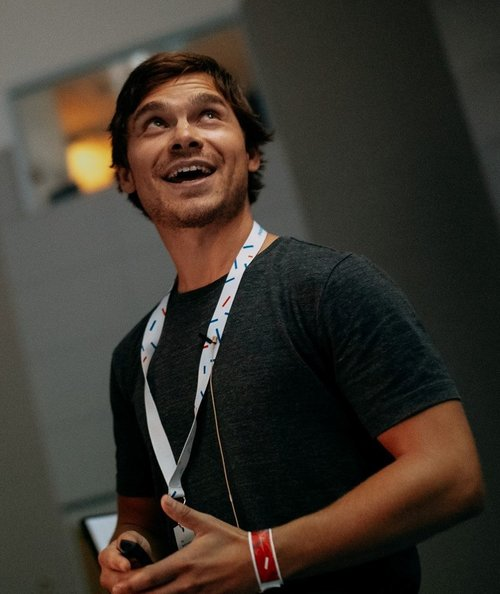 Hello, friends of Blender, Ancient Greece… and generally cool stuff! My name is Martin and I am so excited to bring you this epic course from the series of tutorials belonging to the Heroes of Bronze project. 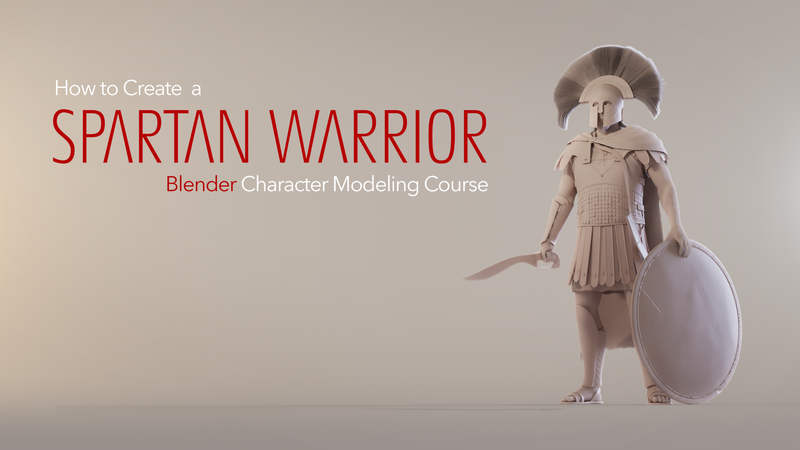 In this course, I focus on creating a Spartan warrior character, guiding you through various stages of modeling, sculpting, retopologizing, hair grooming, UVing and preparing for export to other applications. At the end of it, you will have all the tools you need for creating your own characters for your CG videos and films. When you get the course, first read the INTRODUCTION.pdf document. Then, just follow the numbering of the uploaded files. There is a bonus lesson spartancourse_003b_crest (showing you how to create the maginificent Spartan horsehair crest) and spartancourse_036_height (giving you a sneak peek at the techniques from the upcoming Spartan Warrior Texturing course). In case you won't understand anything about the techniques shown in the main lesson videos, you can watch videos with spartanCourse_0XXrealtime written in their title - these are complete realtime recording of my workflow (no commentary). Do I need some paid software? In the UVing stage, I recommend UV Packmaster and in one of the bonus lessons (meant as a sneak peek at the upcoming Spartan Texturing course) I use Substance Painter - get free 30 day trial here. Is this a step-by-step guide? No, some portions of the main lessons I've sped up to make the duration bearable and not to bore you to death. However, there are realtime workflow versions of each important lessons, so that you can go in, and see the original recording of my workflow. What difficulty is the course? It is best suited for intermediate users who know their way around Blender but want to improve their techniques. That being said, I often stop to explain why I'm doing certain things, I mention my keyboard shortcuts and all the tools I'm using... So it it's OK even for beginners to follow along!